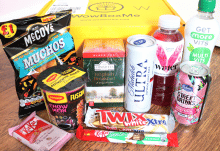 Home Reviews Beer52 – February 2016/Welcome Box. 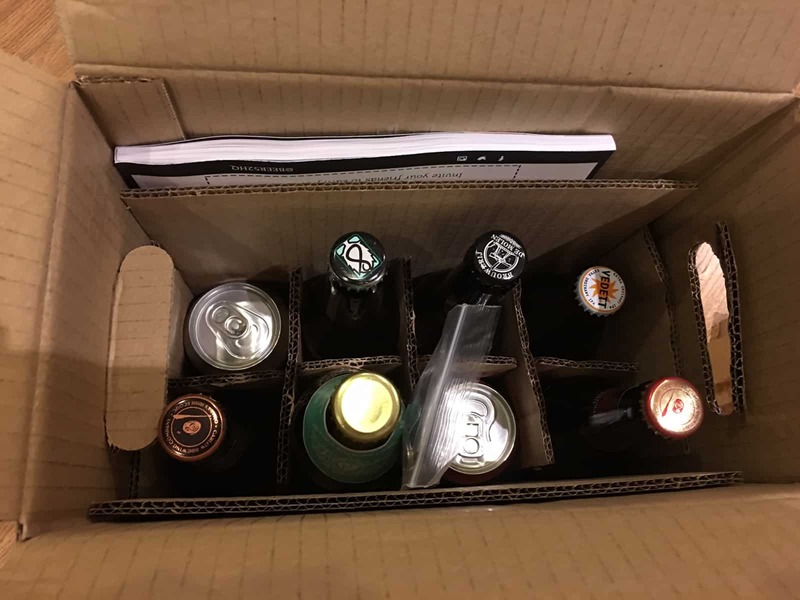 Beer52 – February 2016/Welcome Box. The term ‘craft beer’ has been thrown around since circa 2011 and is now entrenched in the vernacular of the average drinker. 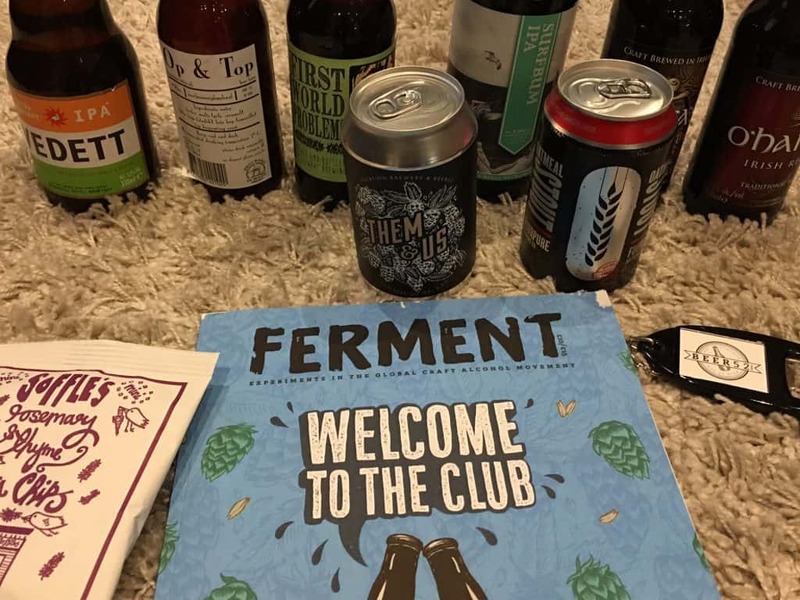 It’s therefore no surprise that there are now several subscription box services that promise to introduce new breweries and styles of beer to novices and connoisseurs alike. 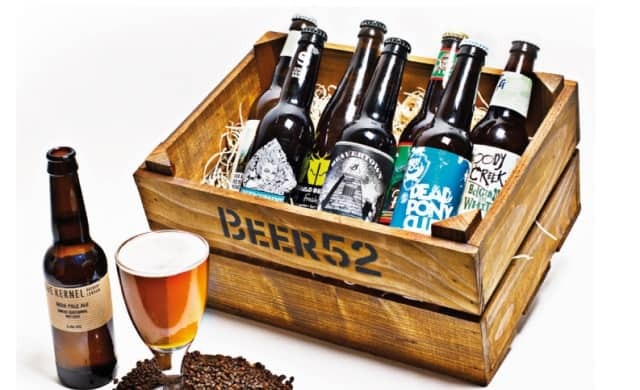 Beer52 is one of said boxes, offering both an introduction to craft beer and a delivery service of new and innovative brews- they work with 12,000 microbreweries and their mission statement is to ensure that subscribers will- as they phrase it- never drink bad beer again. 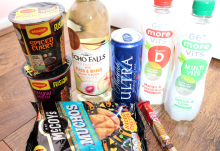 Each month, Beer52 promises to deliver eight beers, a snack and a magazine to subscribers. 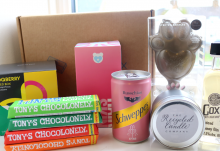 In addition to this, a bottle opener is also included in the first box. The selection of bottles and cans that are included are said to be vetted by an expert team, who curate the boxes to cover a range of styles in order to represent the diversity of beers available from across the globe. This should appeal to anyone who is an avid beer drinker and open to sampling a gamut of brews available. The beers arrive in a medium sized cardboard box- this is obviously not packaging that can be put through the mail slot- and is fairly hefty. Everything is securely stored inside, however, and the bottles aren’t at risk of breakage because each one is slotted in. The outside of the box is branded as Beer52 and there is nothing else in terms of frills or presentation on the inside- just good beer. 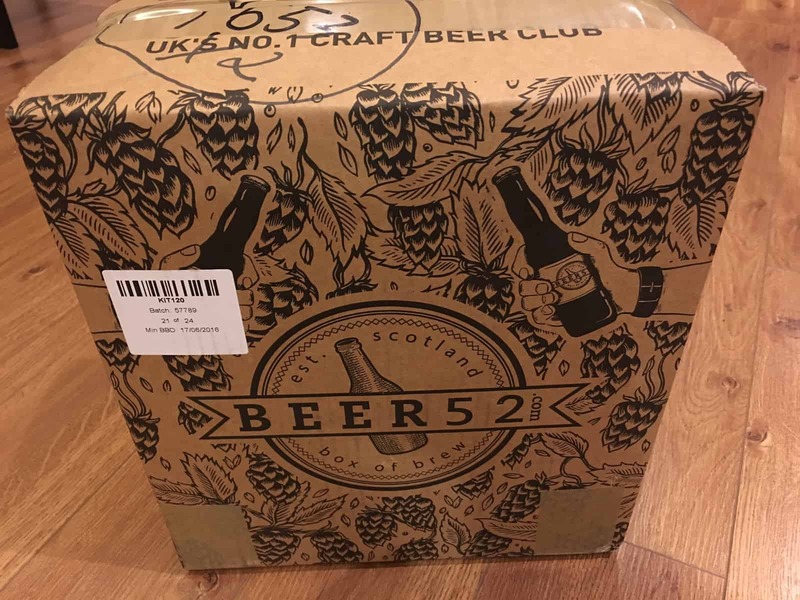 Although the Beer 52 website remarks that each box is collated based on a theme, it’s not immediately clear what the association between the eight beers in the box is- it mostly consists of IPA styles, but there are two stouts and two ales thrown in. This represents a fair diversity of styles, which is perfect for those interested in expanding their beer baseline. Of the breweries included, I was only familiar with Fourpure and recognised Vedett, so I was immediately intrigued by the De Molen and Stewart offerings in particular. I was slightly surprised to receive two styles from the same brewery (Carlow O’hara’s), but remained open-minded. The Op & Top is the flagship beer from the De Molen brewery, based in the Netherlands. It mimics an English bitter and is an interesting tipple, brewed with Amarillo and is light, malty and citrusy- I liked this interesting take on a style that I am not particularly keen on. It isn’t too challenging and easy to drink. Stewart’s First World Problems is a more complex beer offered as a special from the brewery in conjunction with James Hardacre, a home brewer. Labelled as a Belgian IPA, it is extremely hoppy with a balance of bitterness and citrus. It pours a golden amber and is a surprising and potentially divisive choice. I really enjoyed trying this- especially because the brewery is UK based and I am more likely to notice it in bottle shops. The Vedett IPA is labelled as ‘extraordinary’ on the bottle. In fact, it’s a reasonably light, dry and hoppy beer that is sessionable and not offensive. It’s a good rendition of a refreshing IPA with some fruitier and bright Belgian characteristics. In contrast, I wasn’t a fan of Rebel’s Surfbum IPA, finding it a bit of a nonstarter- I expect IPAs to be bolder and more flavoursome than this. It has the characteristics of a pale ale rather than an IPA and is a bit thin for my palate. It offered an interesting counterpoint to the Vedett. The Carlow O’hara’s Irish stout is a dry stout beer with aromas of espresso. It is pretty full-bodied and malty, but silky smooth in texture. I liked the dry finish, making it surprisingly drinkable. The O’hara’s red ale was also interesting, being a bitter amber ale with a slight caramel flavour- it was fuller than expected, smooth to drink and a brilliant ruby red colour. Both of the Carlow O’hara offerings did surpass my expectations on very different fronts. I am already a Fourpure devotee and have previously sampled their oatmeal stout on keg. The canned version was as good as I remember, being a light bodied, soft and milky tipple with chocolate aromas. It’s an easy and pleasant drink. Again, it’s less robust than the Irish stout, so it highlights the characteristics of an oatmeal stout in contrast to a more malty Irish variation. Finally, the Them & Us is another IPA from Vocation Brewery brewed exclusively for Beer52 subscribers. It’s a session IPA, demonstrating a balance of fruity hops, sweet malts and a hint of metallic bitterness. It’s not too bland and another good juxtaposition to the Surfbum IPA in particular. In addition to the beer, the Ferment welcome magazine is an interesting read, especially because it contains several good recipes, including stout cupcakes and beer bread- I’ve baked both in the past to great praise, so I might give these a go. 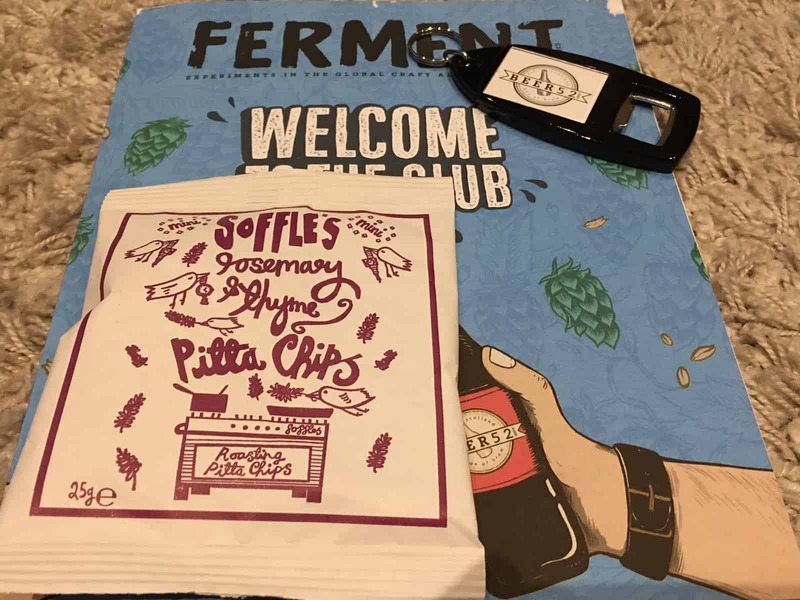 The bottle opener and snack are also nice additions, especially the crunchy pitta chips- but they don’t last long, especially when being chased with beer. 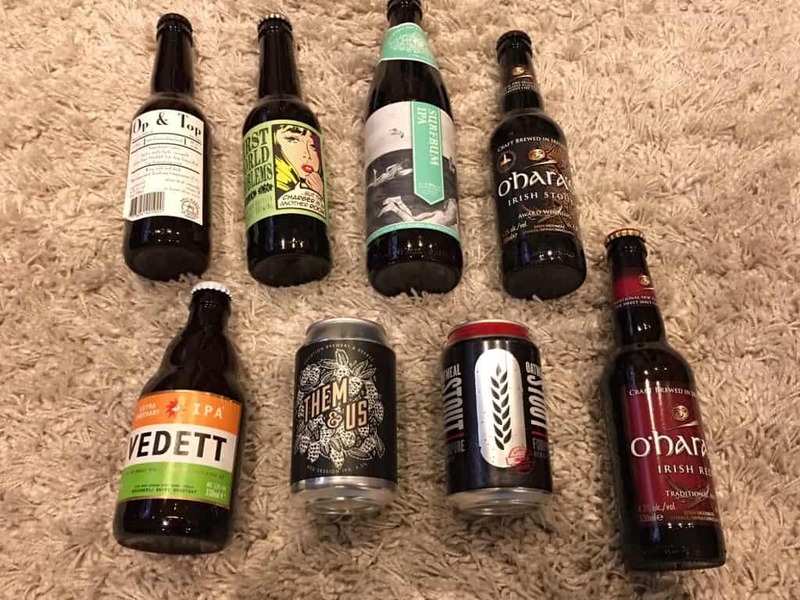 The selection included in February’s Beer52 box was commendable, especially the First World Problems IPA and the interesting Carlow O’hara’s picks. There were more hits than misses in the range with an emphasis on breweries based in the UK. The value of the box is decent for subscribers who are happy to pay for a potluck selection; each beer works out to cost £3 (or less). However, while it’s likely that subscribers will find some interesting and pleasant examples, there’s always the risk that some will not please every palate. As a gift, this is sure-fire choice for any hipster, beer drinker or merely a curious friend or family member. The one major aspect of the Beer52 model that might not appeal to everyone is the fact that subscribers cannot tailor their orders to their own preferences; beer can be very subjective, so some individuals might not want to receive certain styles at all. The company website indicates that this might be an option in the future, however. 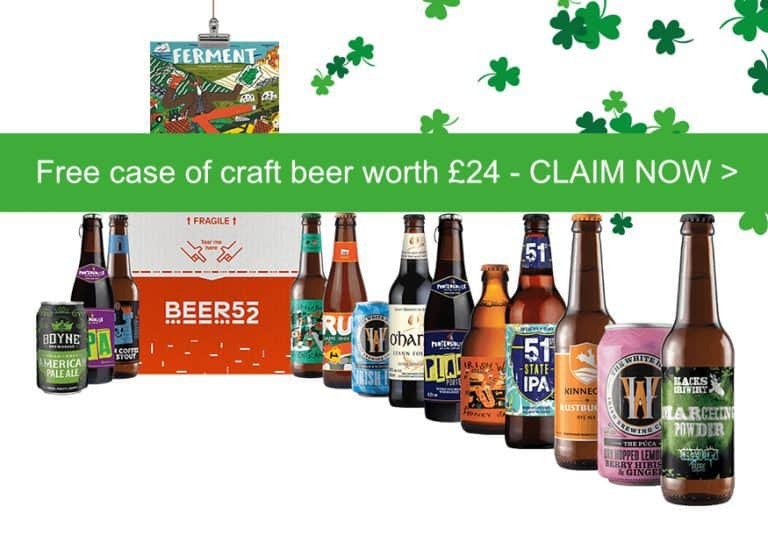 Subscriptions begin at £24 for a one-off case of eight beers (including shipping) and three, six and 12 month options are also available. Given the current popularity of craft beer, this is an enjoyable way to refine your palate and equip yourself with expert beer banter before your next visit to the local trendy taproom. A good introduction to the world of craft beer for the adventurous.